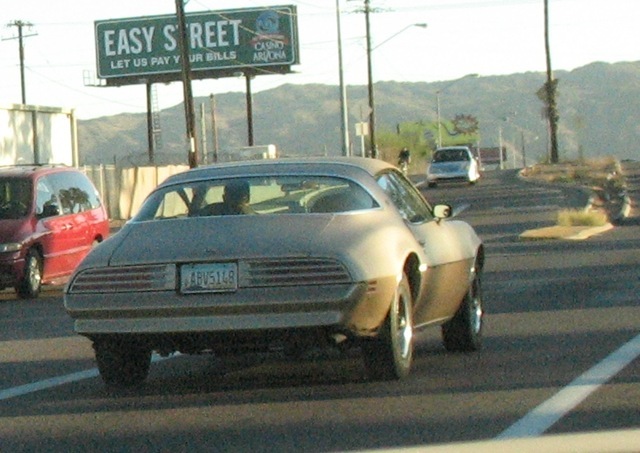 I have known a few GM F-Bodies in my time: Pod’s Trans Am, Phid’s Camaro Berlinetta. The Firebird “Esprit” is a different sort of catch. We thought they were cool in the ’70s, even with the automotive equivalent of a comb over, the front half vinyl roof. Not as cool as Trans Ams or Z-28s, mind you, more of a hot secretary kind of cool. My 7th grade anthropology teacher, Mrs. Kuhn drove one. This one is a ’77; hers was a ’74-76 version. Van Halen was right – I had it bad for my teacher. This is great. Pontiac’s have always been a part of my life the Indianapolis Pontiac group is a big one. Here youll find allot of mint Pontiac’s and a couple of amazing 69 firebirds. I myself just got a new 2009 Pontiac G6 GT Convertible. I love Pontiac and always will. I just wish they would put decals on cars still.